Who is correct? Yes, though it may depend on whom you ask! 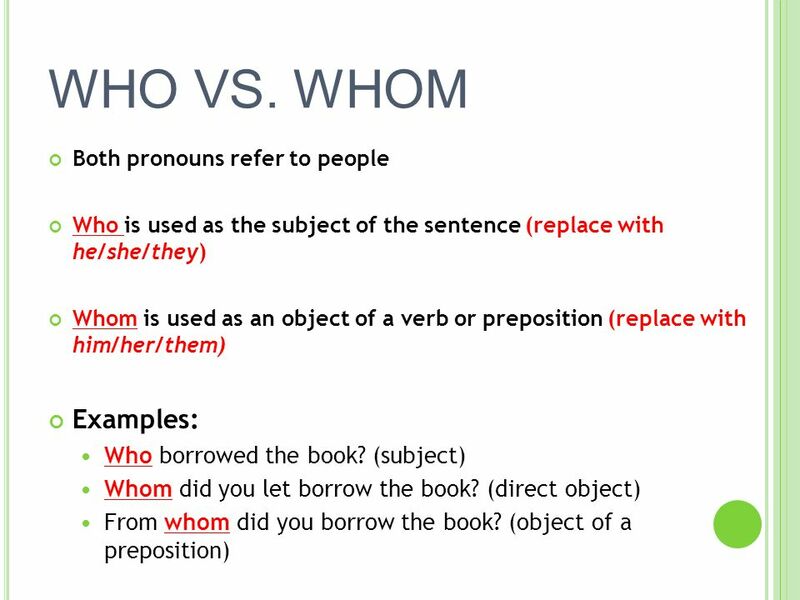 “Who” and “whoever” are subjective pronouns; “whom” and “whomever” are in the objective case.... "A relative pronoun is used to connect a clause or phrase to a noun or pronoun. 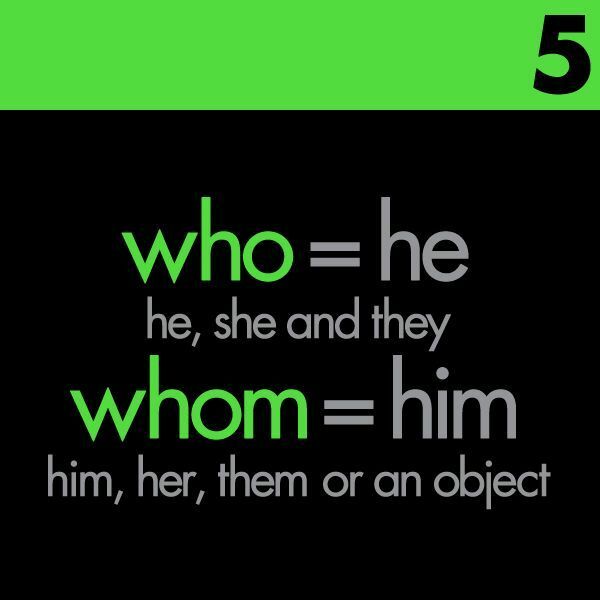 You see them used everyday with the most common relative pronouns being: who, whom, which, whoever, whomever, whichever, and that." The correct phrase is “between you and me” – never “between you and I” – this is something that even native speakers confuse! This expression is used when you want the other person to keep some information a secret, for example:... The difference between who and whom is similar to that between he and him, or they and them. He and they are the subjects of verbs, and him and them are objects. If you ever find yourself confused by whether to use who or whom , try substituting he / him or they / them to see which makes sense. Who is correct? Yes, though it may depend on whom you ask! 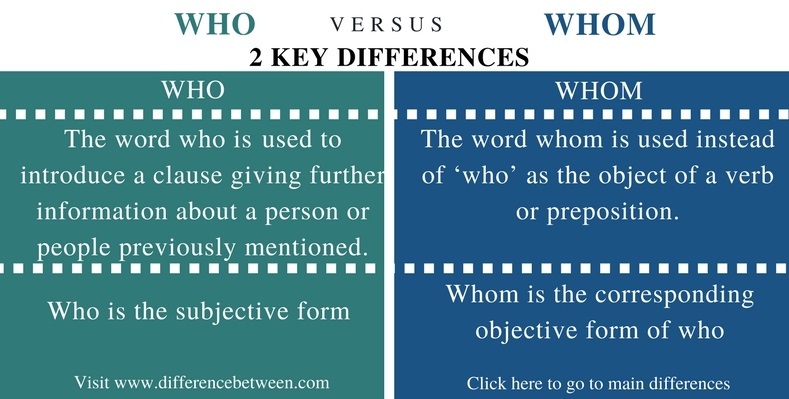 “Who” and “whoever” are subjective pronouns; “whom” and “whomever” are in the objective case.